Anytime Global Transportation and Limo Service is a customer-focused service built on integrity, courtesy, and competence. If you are looking for an affordable bachelorette party limo service in Los Angeles CA, look no further because we’ve got you covered. Anytime Global Transportation Limo Service is unlike other services in Los Angeles. There are no surprises with our services or price! At Anytime Global Transportation, we have been providing affordable bachelorette limo service for many years and we are committed to making your Los Angeles pre-wedding party as special and memorable as you hoped it would be. Our limousines are like luxurious villas on wheels and are fully equipped to meet your needs. We hand-pick our chauffeurs and train them to be customer-centric. We are also available for bachelorette parties and nights out on the town! We offer you a red carpet treatment that’ll make that special day all the more special. We also provide a full limo service solution to all our different clientele. Our fleet of limos and skilled chauffeurs can take care of all your needs, as we treat all passengers with the utmost deference and our attention to detail is unequaled. Wedding events are special events that is why we take our bachelorette party limo service seriously. We will arrive at your door on time and whisk you off to your destination with professionalism and luxury. We Provide Luxury and Punctuality ! Our Price is Transparent ! The rate we quote is the rate you pay! There are no hidden charges on Anytime Global Transportation. As a bride to be, we understand that you have a lot of wedding expenses to settle. That is why our prices are low and transparent. We will provide you with premium limousine and transportation services for your bachelorette party in Los Angeles. If we can help you with any other wedding transportation services, please do not hesitate to contact us. Our formally attired chauffeurs are eager to serve your every wish and above all, provide a friendly and professional wedding party service. Our Los Angeles wedding service is focused on providing a customized limousine and chauffeur service to fit your personal needs or even your wildest desires. It’s your big day, don’t hire a limo service that is less than perfect! When it’s time for the party, our luxurious limos will be available to meet you at your pickup location. In addition to offering you a safe and time-efficient service in a stylish limo, our experienced chauffeurs will always go the extra mile to make you and your guests smile. 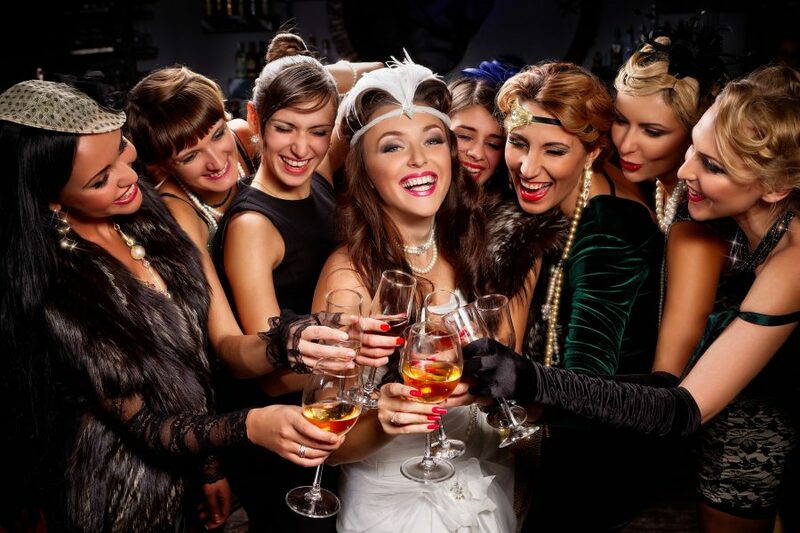 As every party is different, we provide packages that are made especially for your unique day! We know how important our role is during your pre-wedding party, so you will receive the best-trained driver, wells stocked limo and our best wishes. Our chauffeurs are trained to unobtrusively pamper you without getting in your way. Most importantly, we offer 100% money back guarantee on our service. We maintain all of our limousines and can assure you of a seamless service. You can also stop by and view the quality of our limousines anytime or call to book a limo today and experience the difference with Anytime Global Transportation.